Mike Vardy talks about how to stay productive when you get sick, having frameworks to support changes as they come, theming days, and working in modes. Scott Berber on abandoning the networking-for-networking's-sake mentality in favor of a more powerful and effective approach to creating and enhancing connections. Lauren Zander talk about identifying excuses, facing the truth and defeating self-sabotage. Phil Rosenthal, creator of Everybody Loves Raymond, talks about drawing creative ideas from your own life and traveling and food to get out of your comfort zone. Mamie Kanfer Stewart from Meeteor talks about making meetings more effective, engaging and enjoyable. Jess Ostroff, Director of Calm at Don't Panic Management, talks about having a healthy relationship with your virtual assistants, how to choose the right person, and when to know the time is right to hire one. Alison Schaaf of Prep Dish talks more about kitchen hacks and applying batch processing to other aspects of her business. Chris Ducker talks about his new book, Rise of the Youpreneur, as well as how relationships and reputation matter. He also shares about his priority of family and relationships and strategies he has put in place for that. 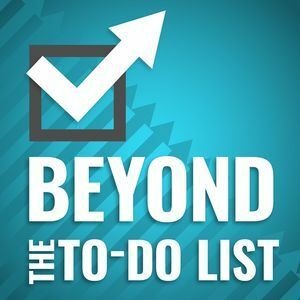 Jeff Sanders, host of The 5am Miracle Podcast, talks about slowing down time to get the important things done. Bestselling Author Daniel Pink talks about how to use the secrets of the science of timing to optimize your day, maximize your breaks and configure your schedule for the optimal timing for your tasks. Todd Henry on having the right mindset and mechanics when striking the right balance between challenge and stability when leading teams of creatives. Steven Masley M.D. talks about how to start now to reverse and prevent insulin resistance of the Brain, sharpen cognitive function, and avoid memory loss. Shane and Jocelyn Sams share how they flipped their lifestyle with intentionality towards their priorities of their marriage and their family while working together in their business. Ian Cron goes through the productivity hangups of the nine types in the Enneagram and how each type can overcome them. In this episode Brian talks with Erik about the message of his book Do A Day, and the life changing benefits of mindfulness, what true motivation is, and persistence.